Today’s featured post is by Roberta Madison of the Glass Tile Store. She will be sharing how to install a subway tile backsplash. I think you will enjoy her tutorial and the chic look it can add to your space! If you’re looking to give your house a makeover, installing a subway tile backsplash on your walls is a great way to dress up any living space. Ceramic subway tiles were first introduced in the early 1900s when they were used for the subterranean train stations of New York City. Their timeless and pristine design was appreciated by the public and they began installing them in their homes, particularly kitchens and bathrooms. More than improving the aesthetics in a living space, subway tiles are also very practical as they require little maintenance. This means you can easily remove any stains or bacteria buildup to keep kitchens and bathrooms clean. Until today, subway tiles continue to be a popular choice among modern homeowners. 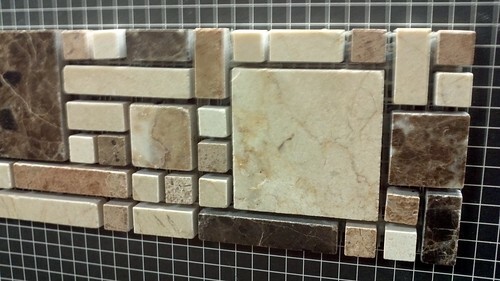 But now, these tiles have grown from their traditional white 3 X 6 inch glazed rectangles. Any tile which measures more than twice its height is now considered a subway tile and manufacturers are offering them in various colors and finishes which allows homeowners to find one which best matches the entire décor of their home. Moreover, backsplashes are no longer limited to the kitchens or bathrooms as they may also be used for areas which should be easily cleaned such as mudrooms, laundry rooms and fireplaces. You don’t have to be afraid to install a subway tile backsplash on your own. Cover all the outlets with plastic bags then apply tape to hold them in place. Make sure to shut off the electricity and remove the switch and plug covers. Take the notched trowel and dip it into the adhesive. Apply a small amount on the walls using the smooth side of the trowel then drag the notched part over the adhesive to remove any bubbles that could form air pockets. This will allow a more stable installation of tiles on the walls. Start tiling from the bottom part of the wall where you want the backsplash to be placed. 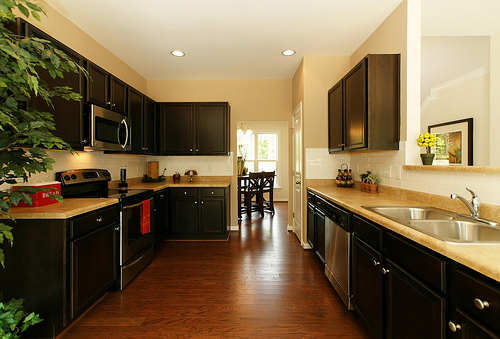 Usually backsplashes begin at the middle of the wall where the sink is found. It would be best to place a row of spacers on the top of the sink before commencing the tiling process. This space will serve as an allowance which makes it easier for you to replace the countertop or sink ledge when you want to. You will later fill this gap through caulking. Proceed on installing the tiles until you finish all the areas you want to cover. Make sure to check your work every once in a while to see if the space in between the tiles are even. Applying tiles around switch and plug outlets can be very challenging as you need to cut the tiles so they would fit properly. Don’t stress yourself too much about doing this even if it’s your first time. All you have to do is make the necessary measurements and then try cutting some scrap tiles so you can get comfortable doing it. You shouldn’t worry about making uneven cuts around windows and outlets because you can cover the imperfections through caulking. Once you’re done installing the tiles on your designated area for the backsplash, leave it for about 24 hours to let it dry. Before you begin applying the grout, wipe the surface of the tiles to remove any residue. Prepare the sanded, white grout mixture by following the instructions printed on the package. Don’t add to much water to the mixture to keep its consistency thick. This will make it stronger. Once you have the mixture ready, protect your work surface to avoid spilling on unnecessary areas. Use the tile float to apply the grout evenly. Hold the float at a 45 degree angle as you apply the grout in the gaps between tiles. Leave the grout to set for about and hour then wipe off the excess grout on the surface with a damp sponge. Make sure to rinse the sponge every now and then to remove the residue that gets attached to it. Allow about 24 hours for the grout to get completely dry. Use the sponge again to remove any residue that could make the surface of your backsplash uneven. Smooth out the areas surrounding your outlets and windows by caulking them. Once done, apply a sealant and let it dry for at least 12 more hours. After that, you can enjoy your new backsplash. As marketing manager at GlassTileStore.com, Roberta Madison has a keen eye for details and always seeks excellence in what she does. The company is a provider of various tile products, including glass tiles, exotic tiles and subway tiles.